Disclosure: Carnival Cruises sent my husband and I on a cruise but they did not compensate me to write this post. 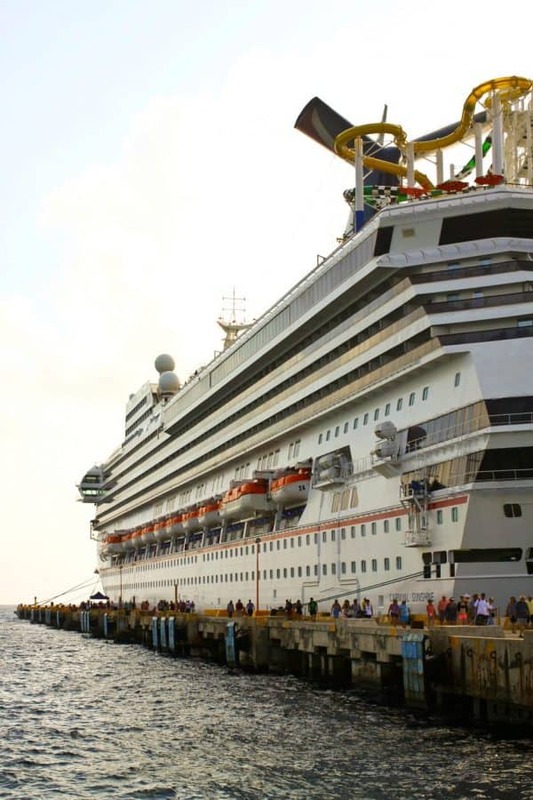 It is an honest review of our experience on the Carnival Sunshine. If you have any questions at all about it, please ask me! Two weeks ago, my husband and I said a fervent ‘thank you’ to my sister-in-law, Elvi Jo, and my mom, waved good-bye to the boys, chickens, and dogs and hopped a flight to South Florida to hitch a ride on the splendid Carnival Sunshine. We haven’t been on many cruises, The Evil Genius and I, mainly on account of HAVING FIVE KIDS, but we do have some basis for comparison, and let me tell you, the recently remodeled Carnival Sunshine (formerly the Carnival Destiny) is an amazing choice for your next get away. The Carnival Sunshine has three huge waterslides, a soak park, a ropes course, ping pong, shuffle board, a running/walking track, and a massive chessboard at it’s tippy top, a fully equipped, state-of-the-art gym, a spa with everything from massages to facials to acupuncture to aromatherapy steam rooms, a night club, a comedy club, fabulous excursions, and much more. The dining? Well, let’s talk about the food on board. The steakhouse has incredible deals with a full meal (appetizer, salad, entree, dessert) including your choice of top-of-the-line aged 14 ounce aged New York Strip Steaks, filet mignons, lobster tails, surf and turf, market fish selection, or chicken, all for $35 per diner. Word the wise, if you choose the steakhouse, go for the cheesecake, then shoot me a picture of the cheesecake next to your face because I promise it’s almost the same size! In a word, delectable. We spent our first dinner of the cruise at Ji Ji where we were delighted with the selection of Pan Asian foods. From chicken spring rolls to Shanghai style duck to potstickers and shrimp, pork belly, and short ribs, we were entranced by every dish set in front of us. You can try as many or as few items as you’d like for $15 per diner, making it an incredible value for a quieter, more exotic dining experience. You want great Italian food? The Sunshine has it! This eatery features some of the favourite family recipes of Carnival’s Italian captains (hence the name!) and is not to be missed at $15 per person. 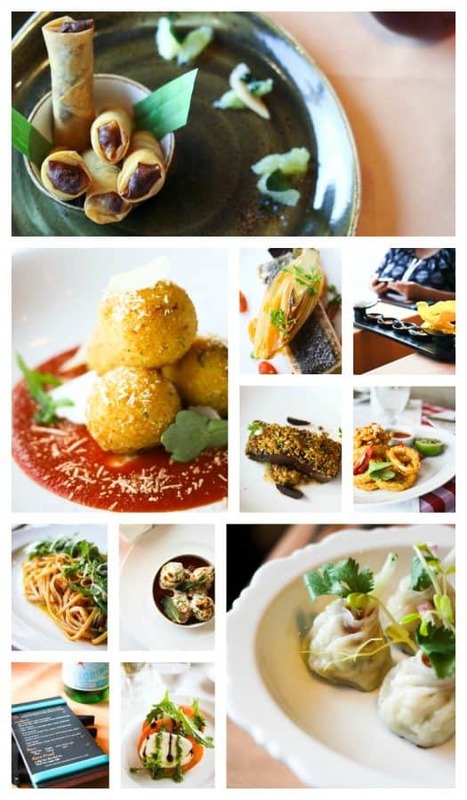 You can choose from arancini, antipasti, seafood pasta, fish/beef/chicken entrees, and much more! Once again, it’s a bargain for a calmer dining experience than the main dining room, offering an appetizer, salad, entree, and dessert. Oh, and their tiramisu? Get it. Trust me. Do I need to say more than that? It’s a sushi restaurant. ON A CRUISE SHIP IN THE MIDDLE OF THE OCEAN. The sushi was fabulous, the atomphere was fun, and the a la carte menu lets you choose as little or as much as you’d like. The hubs and I shared a sushi boat (SUSHI BOAT!) full of their most popular rolls for $17.99, a top shelf bottle of sake for $28, and dessert for $3, making the meal about $25 per person. We waddled out of there we were so full! This one. This is the one memories are made of. Tickets to this once-in-a-lifetime experience go fast, so make sure to sign up as soon as you can. 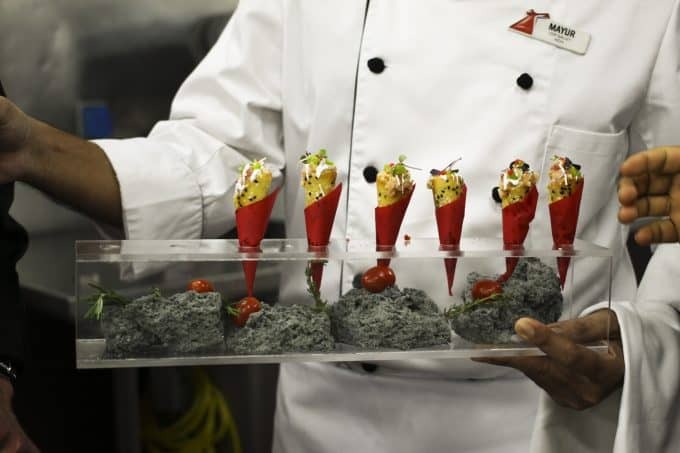 At The Chef’s Table, a very limited number of diners are led on a tour of the ship’s galley kitchen where the Chef de Cuisine and his staff prepare unique amuse bouche bites for you. You’re then shown into the pastry chef’s domain where he gives you a demonstration of how to make the ship’s most enduringly popular dessert: Chocolate Melting Cake. After this, the diners are shown into a private dining room where the Chef de Cuisine, along with hand-picked chefs and the Pastry Chef prepare an unbelievable 7-course meal for you while you watch, seated in comfort with a glass of wine. There is entertainment and a photographer takes a photo at the table. After the meal, you’re presented with your keepsake photo and you’re left to walk under your own power back to your room to loosen your pants in peace and dream of the magnificent food you just ate. If you splurge on ONE thing on the cruise, this should be it! Of course, the main dining room is incredible! There’s a reason some people cruise over and over and over again! There’s so much more, though and much of it is all part and parcel of your cruise fare. Guy’s Burger Joint (as in Guy Fieri) serves up hand-made, 80/20 beef burgers that are out of this world along with a topping bar that allows everyone to customize the burgers exactly as they like them. The Blue Iguana Cantina is a taqueria/burrito joint that serves breakfast, lunch, and dinner, and has a salsa bar that makes me want to get back on the Sunshine RIGHT NOW! The Comfort Food Buffet serves a massive breakfast including everything from indulgent to healthy options and has something to please everyone all the time. There’s also the Deli with a wide selection of sandwiches to thrill my Reuben loving heart. Don’t forget the Milkshake bar! I indulged in a Spirit of Kentucky milkshake one night: vanilla ice cream, Maker’s Mark, and caramel sauce. Whoa baby. That was worth it! 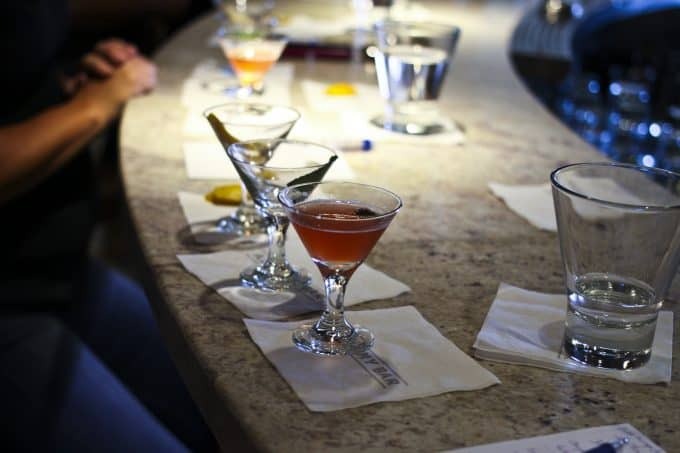 There are also the Red Frog Pub, Little Havana (Cuban bar and music-playing, booty-shaking locale late at night), and -my personal favourite- The Alchemy Bar: home of the artisan cocktail. 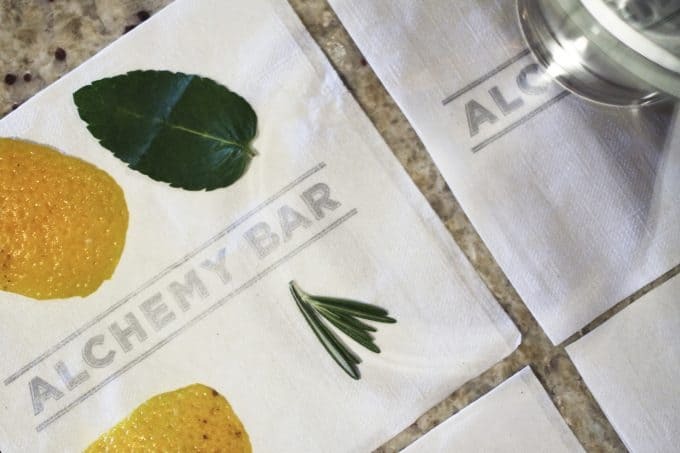 While on board, you can sign up for the Alchemy Bar’s exclusive Mixology Class. You wanna talk fun? 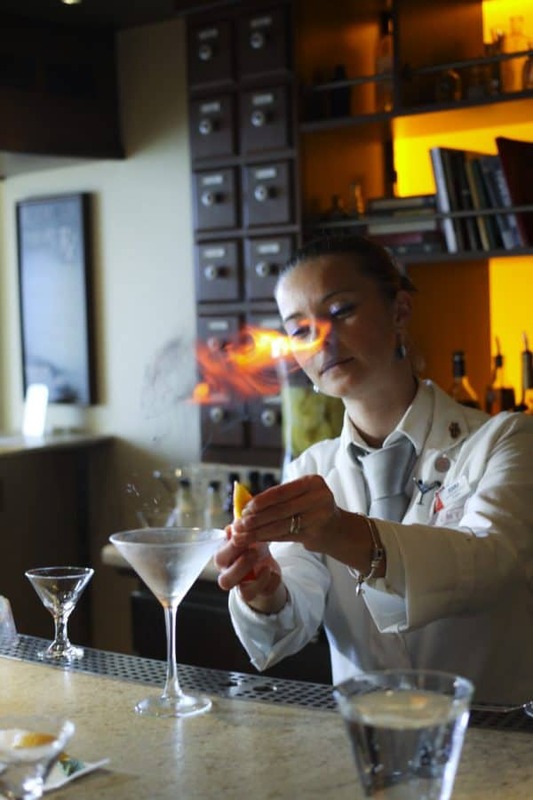 I learned to make proper cocktails AND I got to light things on fire under the expert tutelage of Ioana Luncean, Carnival Sunshine’s award winning Master Mixologist. 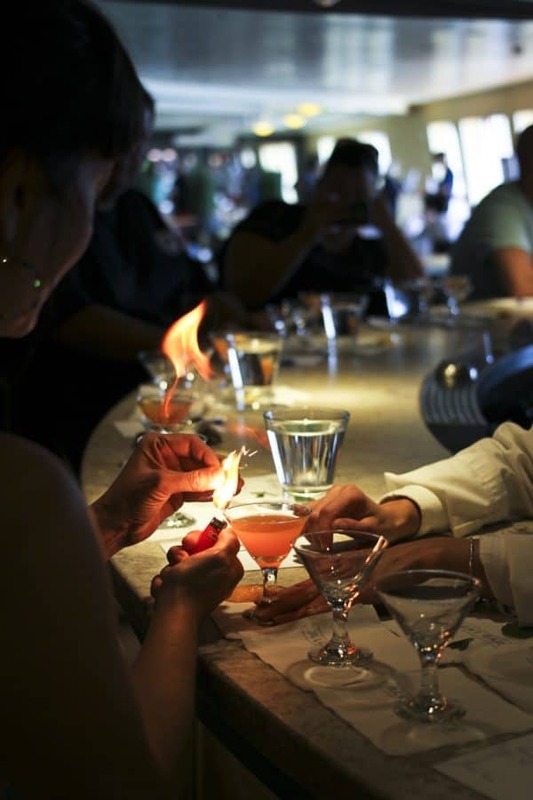 Even if you don’t want to take the class, be sure to stop in at Alchemy in the evening. Their one-of-a-kind cocktails are refreshing and a perfect way to bridge the gap between dinner and a show. Now I have to mention that there’s something on the Carnival Sunshine that make me geek out to the extreme. The Lido deck (the area where the Comfort Food Buffet, Pizzeria, Guy’s Burger Joint, Blue Iguana Cantina, and more are located) is peppered with Jetson’s like hand-washing stations. I loved these so much I made a nerdy video. You put your hands in and the water swirls around them, leaving them scrupulously clean. If you’re weirded out by that, there are Purell stations strategically located near where the queue forms for every single one of the aforementioned eateries. I realize I said “my husband and I” when I should’ve said, “My husband and me”. I blame my food coma. People. I love this ship. Everything about this trip was flawless. 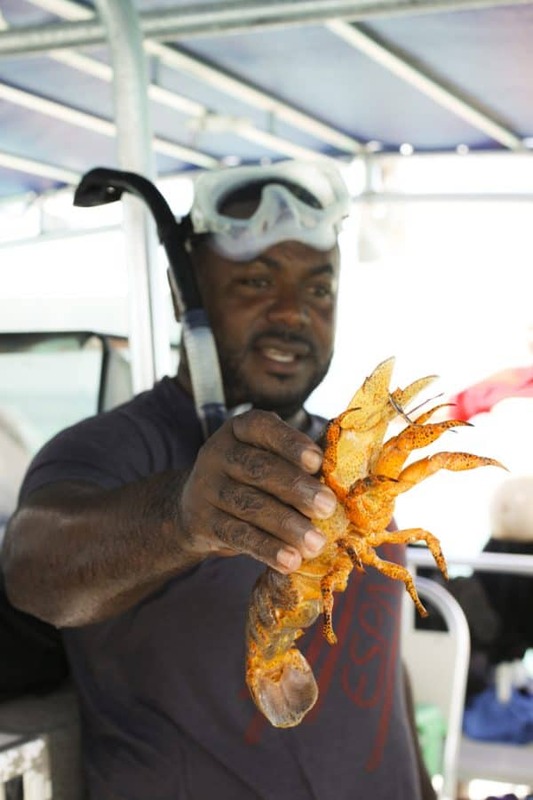 From our snorkeling trip at Sergeant’s Cay in Belize to the on-board entertainment, from our smiling and considerate room steward to every single employee we encountered, we agreed that we would happily sail the Carnival Sunshine over and over and over again. If you break it down, you could sail from $289/person (double occupancy) for a 7 day cruise to the Western Caribbean like we did! If you want to know anything else about our experience, please don’t hesitate to ask! We really got to know the Carnival Sunshine and what it has to offer and I’d be happy to help you with any questions or concerns you might have about sailing! I’ve never been on a cruise. When I was younger I scoffed at them because they’re so not “experiential” [I thought] but now that I am in my mid-thirties I appreciate that travel simply for the sake of relaxing in a place that isn’t my home can be really fun! Seems like this would fit that bill well 🙂 Now I am intrigued. I used to be the same way, but with 5 kids now? I want to be pampered AND see the world 😉 This is where it’s at right now, because you can also have the ‘experiential’ part of the travel on the excursions. Snorekling in Belize? Yes, please! That was so fantastic it hooked me on snorkeling for life! I cruised on a carnival ship about 20 years ago and let me tell you, this looks like a WHOLE different experience! They have really upped their game when it comes to food and I am ready to jump overboard to get to it. Really impressed with their offerings and it looks like you need to be on the boat for at least two weeks to enjoy all that they have to offer! Do jump on a ship. The food is seriously amazing now. I would’ve happily eaten on there for another week. Sigh. I’ve never thought I would enjoy a cruise, but your post has me thinking differently 🙂 I’m concerned that it would be just “people/people/people” everywhere all the time – LOL! For this girl who lives in the middle of nowhere, it is a little populated, but as we had a room with a private balcony, it was more than wonderful to grab a cup of tea and sit out there to watch the ocean go by. There were several places on The Sunshine where you were quite likely to have quiet, too… The Library Bar was VERY chill and there was a spot up near the bow where you could go look out over the ocean at night… no lights, no crowds, just quiet and the majestic ocean. Pretty amazing stuff. 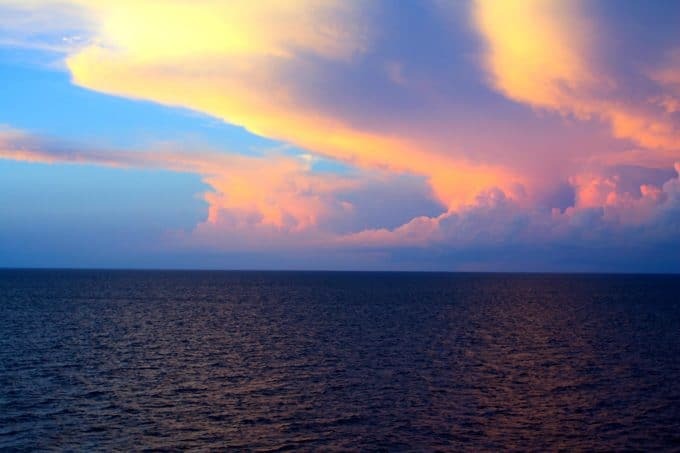 From that spot we saw a thunderstorm that was absolutely magnificent our last night on board. Good to know! I’ll add this to my list of “possible vacations”! I’ve been on two cruises during the span of my life thus far, and they were both enjoyable experiences. Like you mentioned, everything FUN and TASTY are in quick, walking distance. You can see the world and unpacking only once. I would definitely recommend it –especially since the cruiseline we cruised with offers the same delicious gourmet options at the buffet as the dining room. I was really surprised with that first trip about the food–I honestly thought it was more like the bad, dry chicken dinners that people joke about at weddings. It was most certainly not–steak and lobster one night, German feast the next, etc. Cruising is my favorite way to vacation if I want to relax. At least once during a cruise I’d visit the spa and have a full body massage–so lovely! We nap on vacation, too. Why not? Vacations are for enjoying your time not working, right? I’m glad you had a great time, hopefully more people will see it is a great way to vacation. 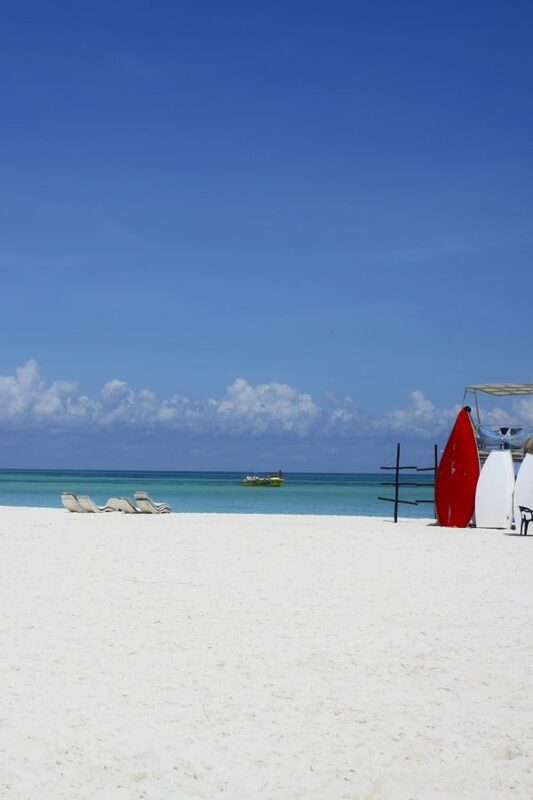 The best thing about cruising is the perks you get if you are loyal to a cruiseline–better deals, room upgrades, etc. 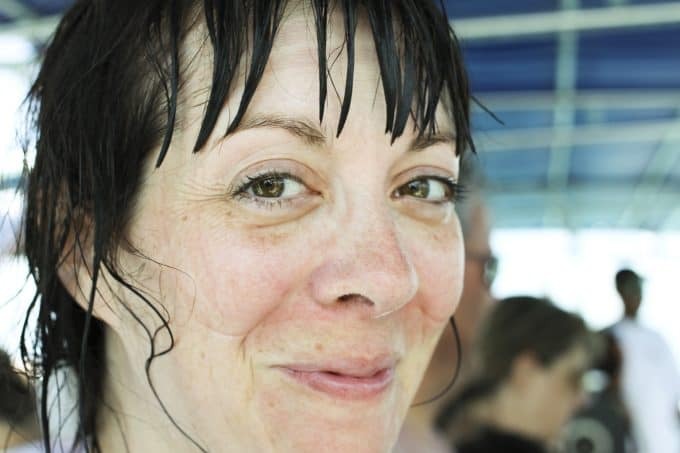 The only thing I didn’t like about my cruising experiences (besides getting off the boat and going back to reality) is that the small interior staterooms only had showers–I’d like to soak in the tub while on vacation. A good tub soak on vacation would be nice, for sure!! I agree with all of your points, Connie. Now, I don’t know about you, but I want to go back on a cruise ship right this very minute! I’m going on my first cruise in January and this made me more excited about it! It looks like you had a great time. Hooray, Erin! You’re going to have a GREAT time!!! I am a HUGE fan of cruise vacations. That’s all my husband and I ever do when we go away. They are the most relaxing of all! Went on a cruise a few years ago. 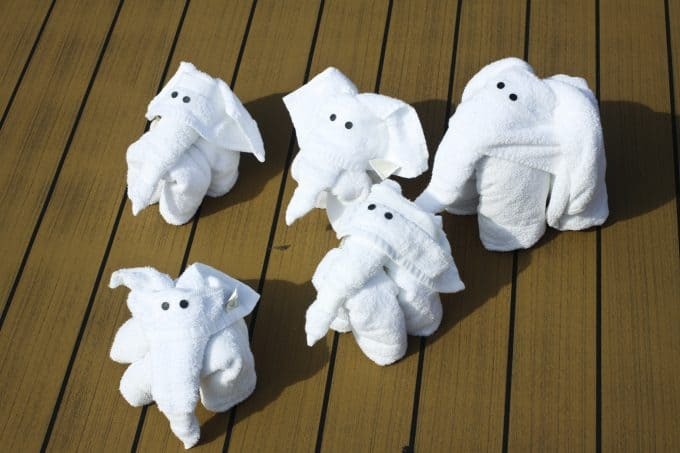 The towel animals ARE THE BEST…We would all ask each other over breakfast what we all found in our rooms the night before!!!! I enjoyed it BUT, I don’t feel I got the true flavor of my ports of call. It’s great, IMHO, to check out a destination. After our cruise my niece and her BFF went back to St Martin. Any-hoo, I enjoyed it. Next time I’ll just grab my BFF and cruise anywhere/no where. They are great for pampering. 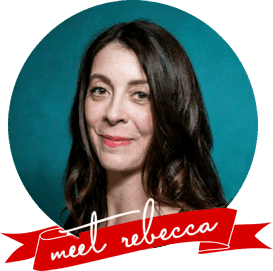 Rebecca I feel as if I’ve just had a vacation in reading your post! Your photos are perfection and I especially love those at the bottom of the beach excursion (selfishly living vicariously). I have not ‘cruised’ so love your insiders’ view to update the perception that they are ‘just for old people’. 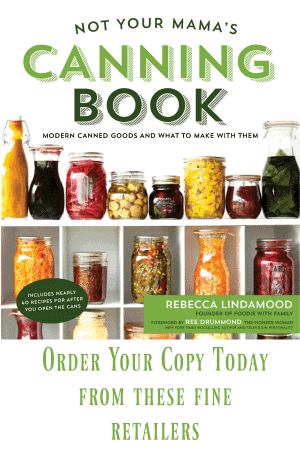 Clearly foodies would be thrilled and there is an unending number of things to do! I’ve never been on a cruise, it looks like all kinds of amazing! That hand washing station is pretty cool. And I totally NEED that milkshake! I’ve never been on a cruise. My husband isn’t interested for some reason. I’m super jealous of this trip, it sounds amazing! I’ve never been on a cruise and had no idea what to expect. Thanks for sharing your experience. It sounds amazing! I need to go! My husband and I seriously NEED TO DO THIS! It all looks wonderful. Well they certainly have changed if this was your experience. My husband and I took a crappy carnival cruise for our honeymoon 12 years ago. Worst trip ever. We decided the only people who thought the food was good, were either drunk (most were), or just didn’t know what great food was. Everything tasted the same, like freezer burn. It however was all inclusive then, you only paid for alcohol. Maybe switching to actual restaurants allowed them to pay for better chefs. Glad you had a better experience than I and if you think the food was good, then I will have to believe they have changed their ways for the better, because believe me, you would not have enjoyed the food we ate on our honeymoon. It sounds like things have come a long way, TiffH! There were quite a few people who hit the bars, to be sure, but these restaurants were exceptionally great! Wow! 5! You need a cruise! What a wonderful experience. I’ve never been on one and really, really want to go on one!!! Thanks for sharing your experience. I’ve been on one cruise (Carnival), and once the seasickness subsided (2 days into my cruise), I had a great time. I napped, I ate with abandon, and I did a bunch of activities with my son (there is something to be said for lasertag on a cruise ship). I think it’s time for another cruise – This time on the Sunshine! So much fun. I was suppose to go on a cruise in January but I have to cancel. Very bummed about that now. we’ve sailed with Carnival before and had a blast! It looks like you ship had a lot more dining options though. Ours only had one alternative to the main dining room, a steak house, but it was amazing and we ate there 3 times. What a super fun trip!! I think our next cruise needs to be somewhere warm!! It was fabulous, Megan! 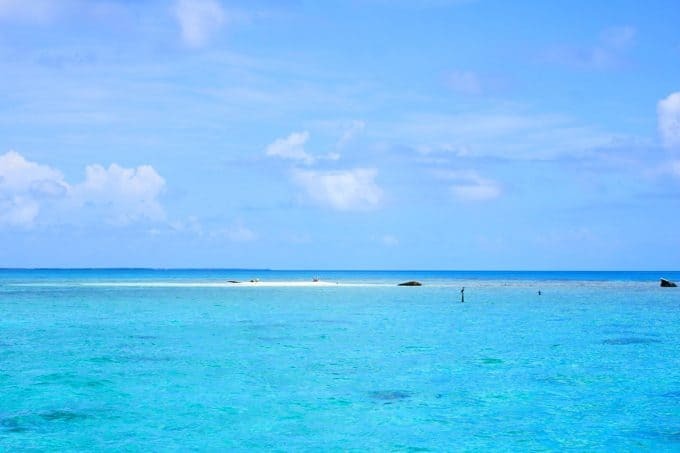 You should DEFINITELY cruise somewhere warm! Sounds like such a fun time! Love the video and elephant towels! Thank you! It was a riot! The elephant towel was my fave of all of them, but we were so excited to see what towel sculpture ended up in our room each night. Too fun!